There is no charge for Baptisms in the church. They are held on the 3rd Sunday of the month; if these dates are not suitable, please contact the minister. Normal flowers will be in the church, but if you would like to arrange your own, please advise the minister. There is no charge for a funeral. Any collection taken for charities at the funeral, should be dealt with by the family or the undertakerconcerned. However, if the collection or part of it, is for Oxnam church, then our treasurer will deal with this on your behalf. Flowers, if required, should be provided by the family. An elder will be on duty on the day. The undertaker will normally arrange for an organist He/she will charge a fee, which will be added to the funeral a/c. If this is not the case, the organist should be paid on the day of the funeral. Only bio-degradable confetti may be used at the church. If an organist is required, it is up to the family concerned to arrange. We were surprised and delighted by an anonymous gift given to Oxnam Kirk some months ago. 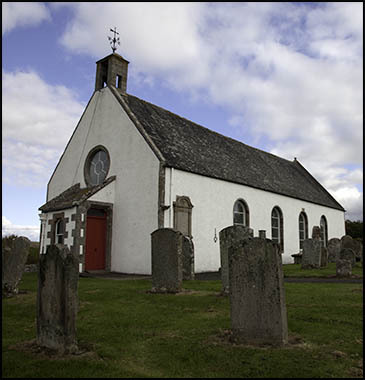 The Borders Family History Society has published a booklet of Oxnam monumental inscriptions although the list is mainly that of pre-1855 inscriptions – many later ones are not included.